September, 2011 | MDC - Marketing. Design. Creative. One of our current clients is the Private Residences at the Hotel Georgia. That’s the tall tower under construction behind the refurbished Rosewood Hotel Georgia. People who purchase a private residence will have special access to the hotel’s amenities – housekeeping, catering, the pool and spa. So it was with great delight that Wendy and I took a tour of the Rosewood Hotel to see what our purchasers will get to experience. Street-side, the Hotel Georgia neon sign is back in place on the corner of Georgia and Howe. The porte cochere is still sporting construction scaffolding but looks close to completion. 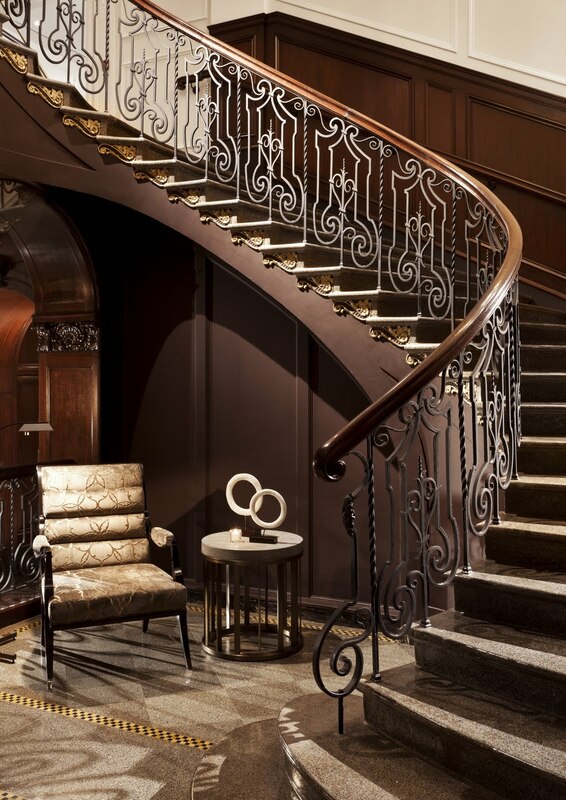 Enter the hotel lobby and your are met with contemporary and classical surroundings – dark wood panelling, large modern art pieces, thick rich carpeting and warm welcoming staff. The outdoor lounge is called Reflections and offers light fare and specialty cocktails. Water features, a central fire pit and oversized teak couches create a comfortable California urban oasis vibe. Beside Reflections is an absolutely pristine lap pool. If you’d been there with us you could have had it all to yourself. Around the corner is Sense, a Rosewood spa. Back downstairs in the main lobby we were told that Hawksworth Restaurant is up and running and the hotel itself is not booked to capacity. Our host suggested not everyone knows it is open. So we are doing our part: The Rosewood Hotel Georgia is open! Drop in for a tour anytime. We think you’ll be impressed.